Microsoft has told CVG that it sees the use of Kinect motion control technology as a 'possibility' for PC gaming. Microsoft's Kudo Tsunoda, general manager of Microsoft Game Studios, also thinks that Kinect's potential for "widespread applications" outside of gaming has not yet been fully realised or developed. In addition to such numerous potential uses across other entertainment industries such as film and music, Kinect may also work with mobile phones in the future, according to Tsunoda. "We're very focused on Kinect for the Xbox, and launching that. I think it's cool though - and this is just from me - I've been in the video game industry for a while now, and I know that in the games industry lots of times we'll take things from other industries and bring it into games. Warming to his theme, the Microsoft game studios boss continued: "We take stuff from movies, or take technology from PCs and put it into games, and Kinect really is the first time that the video game industry is pioneering something that I really think has widespread application outside of just video games. "So, hypothetically, if I worked at a company that didn't only make games, but also did things with PCs and phones, I think there could probably be some possibility that the tech might get used in other places. But, at least for now, [Microsoft is] focused on Kinect for Xbox." 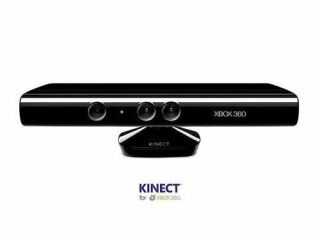 Microsoft plans to launch Kinect worldwide later in November.